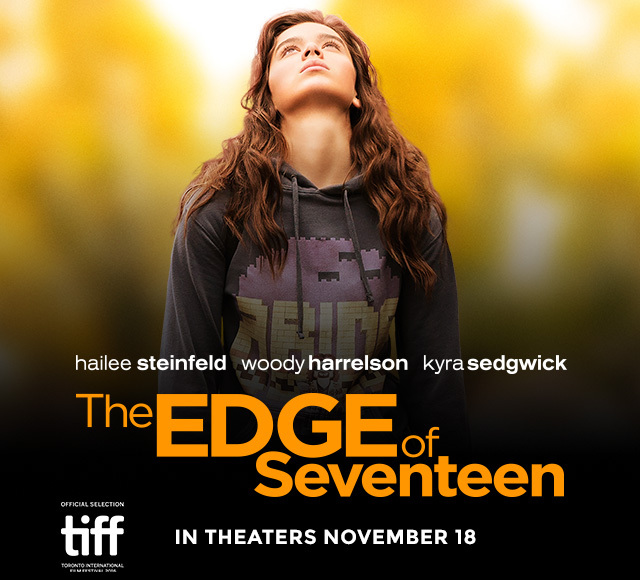 Do you want to see an advance screening of THE EDGE OF SEVENTEEN on Wednesday, November 2 in South Jordan at 7:00PM? Here’s your chance to download a printable pass for you and a friend. Passes do not guarantee a seat in the theater and seating is first-come, first-serve so ARRIVE EARLY. #EdgeOf17 opens in theaters November 18!